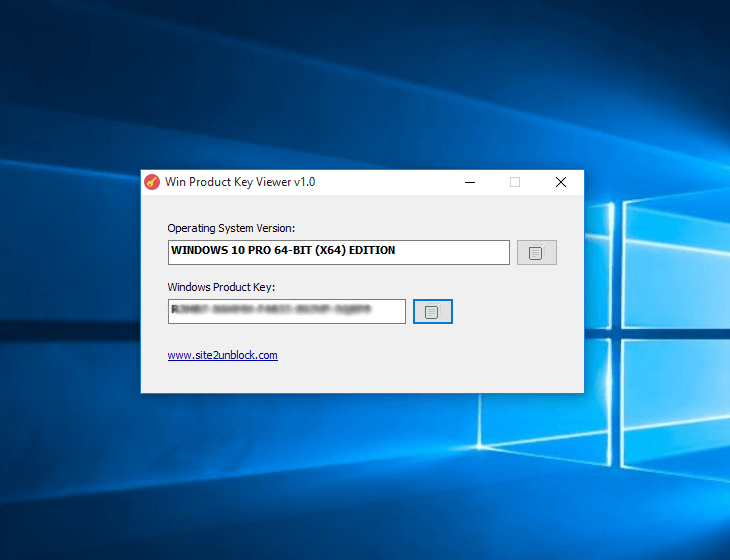 Win Product Key Viewer is a very simple Windows OS software that helps you to recover the Windows product key (also known as Windows activation code). When the program is executed, it shows immediately the Windows version and the Windows product key. You can click on the button on the right of the editbox to quickly copy to clipboard the Windows product key. As you can see, this program is very simple to use, just run it and you can view the Windows product key (also known as Windows CD Key). This program works fine on Windows XP, Vista, 7, 8, 8.1 and Windows 10 (32\64-bit).